#LDSFace2Face with Pres. Eyring and Elder Holland: March 4 at 11 a.m. MST on LDS.org! President Henry B. Eyring, First Counselor in the First Presidency, and Elder Jeffrey R. Holland of the Quorum of the Twelve Apostles will answer questions from youth around the world during a live Face to Face event on March 4, 2017. Since the first Face to Face event in 2014, youth have interacted with Apostles, Church leaders, and musicians in live, online discussions. But this is the first time that a member of the First Presidency will be joining them. The event originates in historic Palmyra, New York, where a 14-year-old Joseph Smith, Jr., experienced the First Vision following a heartfelt prayer. The event takes place on a Saturday (instead of a Mutual night), which allows the highest number of international youth to participate. Parents and ward or branch leaders can use this event as a family or Mutual night activity. Youth are encouraged to invite their friends to participate with them. Youth are invited to consider what questions they would like to ask and share them on face2face.lds.org. Join the live event at 11:00 a.m. MST (1:00 p.m. EST) on the home page of LDS.org or the LDS Youth YouTube channel, or view it later at face2face.lds.org. A recording of the broadcast will be archived for later viewing. Recordings of all Face to Face events can be viewed at face2face.lds.org and are appropriate for a variety of personal, family, and Church settings. The Church’s social media accounts for youth will be featuring posts from Palmyra, New York, during the days leading up to Saturday’s Face to Face broadcast with two Apostles. The Face to Face with President Henry B. Eyring, First Counselor in the First Presidency, and Elder Jeffrey R. Holland of the Quorum of the Twelve Apostles is Saturday, March 4, at 11:00 a.m. mountain standard time. “The purpose of the social media posts from Palmyra is to help youth understand the setting and background of the Restoration,” said Fernando Camilo, a product manager in the Church’s Priesthood and Family Department. In the few days preceding the event, youth can “journey”—via social media—to historic Palmyra, where 14-year-old Joseph Smith Jr. experienced the First Vision following a heartfelt prayer. The posts on LDS Youth Instagram stories and the LDS Youth Facebook page will offer an exclusive behind-the-scenes look at Church history sites and other events. 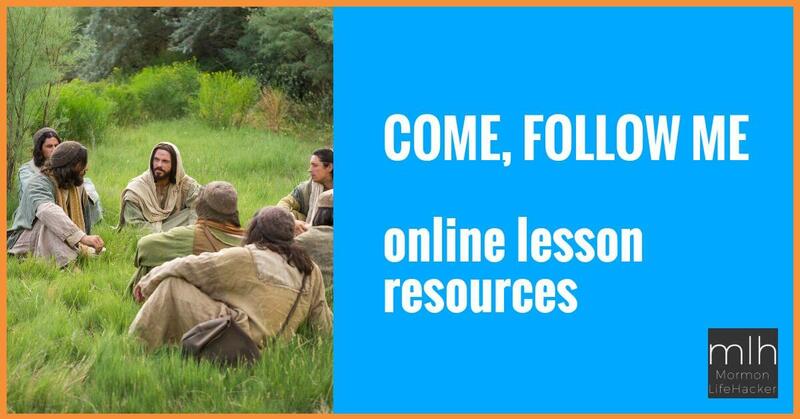 Youth can see live footage of the Joseph Smith farm, a live stream of the sunset at Hill Cumorah, an inside look at the Grandin Press, and more by viewing the social media pages for updates. Here is a breakdown of what will be posted each day leading up to the event on Saturday. Youth are also invited to consider what questions they would like to ask and share them on face2face.lds.org or on other social media channels using #LDSface2face. Tune in early for the broadcast premier of “Ask of God,” a new video about the First Vision that will start at 10:45 a.m. MST. The video will be available to download and share following the event. Watch the live Face to Face event at 11:00 a.m. MST (1:00 p.m. EST) on the home page of LDS.org or the LDS Youth YouTube channel, or view it later at face2face.lds.org.